Maine ranks 14th in the nation for obesity, steadily improving compared to other states as the country grows fatter, according to a new Gallup report. Still, more than a quarter of Mainers are obese. Nearly 26 percent of Maine adults who reported their height and weight to Gallup in phone interviews during 2014 qualified as obese, with a body mass index of 30 or higher. That measure of body fat varies from person to person. But an individual who’s 5 feet, 6 inches inches tall and weighs 190 pounds, for example, qualifies as obese, according to the National Heart, Lung and Blood Institute’s BMI calculator. Nationally, the obesity rate rose to 27.7 percent in 2014, based on Gallup’s interviews with nearly 177,000 U.S. adults. Americans are at their most obese since the Gallup-Healthways Well-Being Index began tracking the rate in 2008. Maine held steady in the rankings from 2013, when the state also placed 14th in the country for obesity. That’s a much better showing than prior years, including in 2010 and 2012, when Maine ranked 31st. But while Maine improved in relation to other states, data from another source show Maine’s not immune to the widening of America. The percentage of overweight or obese residents steadily has inched up over time, much like in the rest of the country. Hawaii had the lowest obesity rate in the nation at 19 percent, followed by California, Colorado, Connecticut and Massachusetts, which have ranked among the 10 states with the best rates every year since 2008. At the other end of the scale, Mississippi was the fattest U.S. state for the second year in a row. There, 35.2 percent of residents are obese, according to the report. Mississippi is among five states placing among the fattest 10 states every year since 2008, along with Arkansas, Kentucky, Louisiana and West Virginia. The list of health consequences from carrying too much weight is long. Being overweight or obese raises the risk of heart disease, Type 2 diabetes, some cancers, high blood pressure and stroke, among other ailments, according to the U.S. Centers for Disease Control and Prevention. The report also indicates, unsurprisingly, that unhappy people are more likely to be obese. The Well-Being Index, based on 2.2 million surveys, captures how Americans feel about their daily lives based on five measures: a sense of purpose, social relationships, financial security, community and physical health. The report showed a strong link between obesity and people who reported a poor sense of well-being. 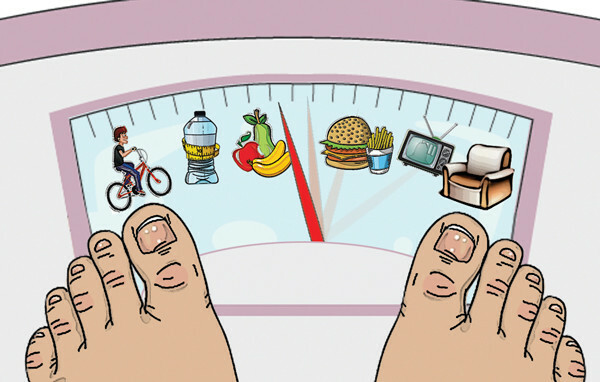 “People who are not obese are more likely to reach their goals, use their strengths at what they do best, make time for regular trips or vacations with friends and family, be satisfied with their standard of living, and feel safe and secure in their community,” the report stated. 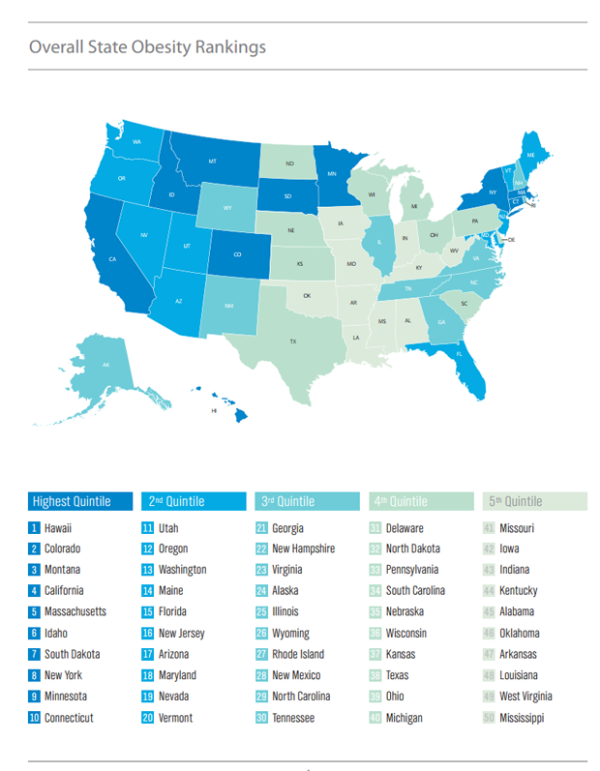 Maine ranked 15th in the nation for well-being, slightly besting the national average. Previous Gallup and Healthways research showed high well-being closely relates to key indicators, such as lower workplace absenteeism, better performance on the job and less use of health care services. Helping employees feel engaged in their jobs can lead to a healthier, happier workforce that costs employers less, according to a January Gallup report.